Are Burpees and Jumping Rope the Cure for What Ages You? Or, Perhaps It’s Crawling. Here at In the Loop, we’ve had some fun recently featuring stories of folks who are living well, well into their 80s, 90s and beyond. They're running, jumping on trampolines and setting goals for the future. Which has gotten us thinking: How can we be like them when we grow up? Michael Joyner, M.D., may have an answer. Dr. Joyner, an anesthesiologist who studies human performance and exercise physiology at Mayo Clinic's Rochester campus, recently gave TechInsider the inside scoop on keeping fit. 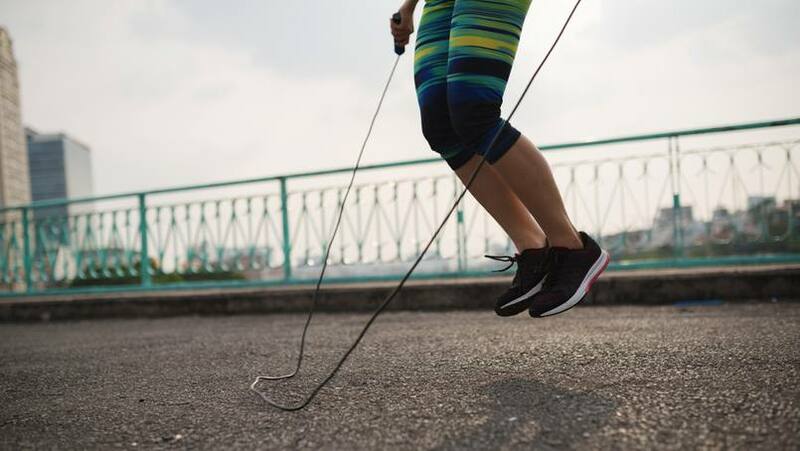 In an article titled "The two exercises that will keep you fit for life," Dr. Joyner lays out a simple yet challenging dynamic duo: jumping rope and doing burpees. According to TechInsider, these "two workouts will build both your endurance and your strength, all at once." And both of those elements are important, especially as we face some of the hallmarks of aging, including loss of bone and muscle mass. Here's why jumping rope and doing burpees work. "Jumping rope is outstanding for general conditioning," Dr. Joyner writes on his blog, Human Limits. It provides "an aerobic workout" and also "develops footwork and balance," which he points out are critical for "middle aged and older people" who want to "ward off things like frailty and falls." Add in burpees, which can help you "keep building strength to combat your body's natural loss of muscle mass," and you have a go-to workout you can take anywhere. And he should know. As a frequent traveler, Dr. Joyner is an advocate for what he describes on his blog as "low-tech solutions to the challenge of exercise while on the road or really the challenge of exercise anywhere." But a routine only works if it becomes, well, routine. "The first thing you notice about all effective fitness programs is that consistency matters," Dr. Joyner says in another post. "People who get in better shape exercise regularly," and those who build strength and endurance "have a progressive program." That means gradually adding more burpees, and longer sessions of jumping rope, as your fitness improves. And if getting back to the basics of fitness appeals to you, consider another (very) old-school option that "doesn't involve equipment, running, jumping or even standing." (We like the sound of that.) The exercise? Crawling. Danielle Johnson, a physical therapist at the Mayo Clinic Healthy Living Program, recently told the Chicago Tribune, that "as a full body exercise it's hard to beat." She says it's an "amazing core exercise" that’s really “catching almost all of the major muscles in your body at once.” Sounds like a great way to stay forever young. Skip, hop or crawl on down and share your comments below, and use the tools atop this page to share this story with others. I’m getting old. What is a burpee? Burps are an exercise from Hell. start with hands on ground, throw your legs out, bring legs in stand up, jump and clap and repeat.